In 2015, on the eve of his first state visit to the UK, the Chinese President Xi Jinping praised the “visionary and strategic choice” of the British government and its will to build a “golden era” of Sino-British relationships (“Xi Jinping visit: UK-China ties will be lifted to new height”, BBC News, 20 October 2015). The first Chinese freight train for the UK was launched on 1 January 2017; then on 1 May 2017, a cargo train coming from London arrived in in Chinese city of Yiwu, after a “rapid” voyage of 11000 kilometres, which lasted only two weeks (Louise Moon, “China launches freight train to Britain”, The Telegraph, 2 January 2017, and Will Worley, “First direct train from UK to China arrives in north-east town of Yiwu after 7 500 mile journey”, The independent, 2 May 2017). 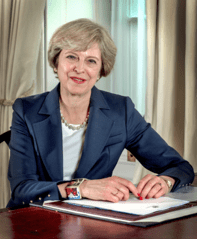 Six months later, on 28 January 2018, British Prime Minister Theresa May went to China for a three days state visit, during which the Chinese and British governments signed more than 13 billion dollars agreements, ranging from agriculture to innovative technologies, nuclear projects and clean energy. These deals were accompanied by declarations from Prime Minister Theresa May and President Xi Jinping regarding the way the UK could become more involved in the Chinese inter continental Belt and Road initiative and in global governance. It must be noted that these official declarations are being supported by major political and finance decisions, rapidly piling up, especially since 2015, when Prime Minister David Cameron declared the start of a “golden age” of China-UK relations (“China Britain” to benefit from “golden era” in ties”, Reuters, October 18, 2015). In other words, the China-UK relationship is turning Great Britain into a massive “hub” for the Chinese international development, at the very moment when Britain negotiates its “Brexit” with the European Union. In the same dynamic and time line, China, i.e. 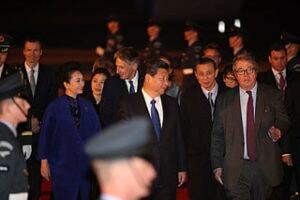 one of the current major world powers (Martin Jacques, When China Rules the World, 2012), is becoming a massive political and economic partner of the UK. This means that a crucial power shift is happening through the new and “golden” relationship between the UK and China, in a time of geopolitical transformations. In a first part, we shall point out how the principles, ways and means of the Belt and Road initiative are deeply compatible with the way the UK defines its Chinese policy. In a second part, we shall see how and why the UK is developing this “golden relationship”. In a third part, we shall emphasise the massive geopolitical shift implied by this new “China-UK” connection. Since 2015, the UK is quite pro-active about the Chinese “Belt & Road” initiative. For example, Britain has been among the first countries to become a “founding member” of the China-led Asian Infrastructures and investment Bank (AIIB). It must be remembered that the AIIB is major player of the “Belt & Road” or Chinese New Silk Road, previously known as “One Belt, One Road” (OBOR) The UK Government announced its intention to join the AIIB in March 2015, and officially joined up on 29 June 2015 (“UK ratifies articles of agreement of the Asian Infrastructure and Investment Bank”, GOV.UK, 3 December 2015). The AIIB finances or co-finances multinational infrastructures’ development in Asian nations, among these the Kazakh segment of the Western China-Highway-Western Europe (“AIIB and OBOR”, OBOReurope One Belt one Road Europe). These transport infrastructures’ development play a fundamental role in the Chinese “New Silk Road / Belt and Road” initiative (BRI). Thus, the action of the AIIB is deeply complementary to the BRI. In effect, the BRI is an economic and infrastructures strategy aimed at ensuring the constant flow of energy resources, commodities, products, money and data that are necessary to the current industrial and capitalist development and enrichment of the 1,4 billion strong “Middle Kingdom” (Jean-Michel Valantin, “China and the New Silk Road – From oil wells to the moon … and beyond”, The Red (Team) Analysis Society, July 6 2015). Since 2013, China has been deploying the NSR/ BRI initiative, which attracts the interest and commitment of numerous Asian, African and Middle Eastern countries. 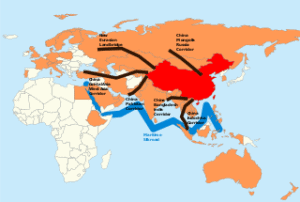 As we detailed previously, the Belt and Road Initiative is a new expression of the Chinese philosophical and strategic thought (Valantin, “China and the New Silk Road: the Pakistani strategy”, The Red Team Analysis, May 18, 2015). It is grounded in an understanding of the spatial dimension of China, in the geographic sense, as well as in a comprehension of the different countries that are involved in the deployment of the NSR. Space is conceived as a support to spread Chinese influence and power to the “outside”, but also to allow the Middle Kingdom to “aspirate” what it needs from the “outside” to the “inside” (Quynh Delaunay, Naissance de la Chine moderne, L’Empire du Milieu dans la globalisation, 2014). This is why we qualify some spaces as being “useful” to the deployment of the OBOR, and why each “useful space” is related, and “useful”, to other “useful spaces”. Thus, the UK, by actively choosing to become part of the BRI, seems to become a fundamental “geographic useful space” for China, while China seems to become a very strong attractor for the UK. “Britain is committed to developing relations with China and is willing to become its most open partner”. It is important to note that this exchange encapsulates the main structural economic preoccupation of modern states, i.e. economic growth and development in a global multipolar world (“British PM hails “golden year” in UK-China relations” Xinhuanet, 2015-06-10 and Giovanni Arrighi, Adam Smith in Beijing, 2007). Since this 2015 visit, followed in October 2015 by the state visit of President Xi Jinping in the UK, the two governments launched numerous political initiatives. For example, since the start of December 2017, foreign finance companies are allowed to own up to 51% of local fund managers, securities ventures and brokerages in China, instead of being limited to 49%. 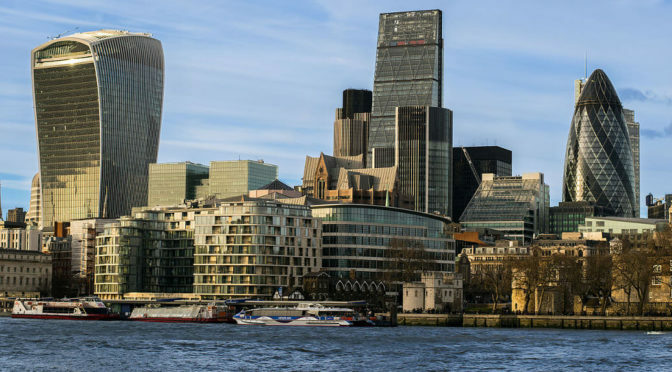 In other terms, this decision opens up the Chinese financial market to the City of London, at the moment when UK firms are looking for ways to access new markets after the Brexit, especially given the fact that they could therefore access the very large base of China’s savings (Cecily Liu, “Chinese market will entice UK financial service”, ChinaDaily, 2017-11-26 and Huang Ge, “Opportunities abound in sino-UK economic, trade ties: China Britain Business Club Chief”, Global Times, 2018-1-28). This thematic of an enhanced financial cooperation between the two countries was also central to the exchanges between Chancellor of the Exchequer Philip Hammond and Chinese Premier Li Keqiang in December 2017 (“Premier Li meet British Chancellor of the Exchequer”, The State Council, The People’s Republic of China, December 16, 2017). However, the financial side of the “Sino-British golden relationship” is part of the larger picture of the common political project that is woven by both parties. This larger picture integrates developments in the nuclear field, in clean energy, in high-speed train, in high technology trade, which are integrated to the Belt and Road framework (Josh Hallyday, “UK-China relations still “golden”, says PM, as investments talk open”, The Guardian, 10 Nov, 2016). 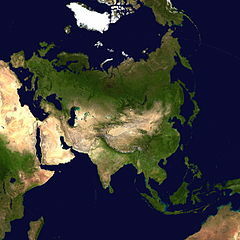 In other terms, the “golden relationship” allows China to develop a strategic relationship with the fifth economic power in the world, furthermore a crucial actor in one of the most geopolitically charged situation in the world: indeed, the UK is both a European power and an Atlantic power, with deep and historical ties in Asia, in particular with China, notably through its past “ownership” of Hong Kong until 1997 (John King Fairbanks, Merle Goldman, China, a New History, 2006). For the UK, the deployment of the Belt and Road initiative opens a new geo-economic and political landscape. In effect, joining the Belt and Road initiative literally means for Great Britain that it develops deep links with the most important Asian powerhouse, at a moment when world economics are more and more centred in Asia, which is moreover currently leading global growth (“Asia’s dynamic economies continue to lead global growth”, International Monetary Fund, May 9, 2017). This “connection” is constructed through railroad interconnections, the development of financial cooperation, technological exchanges. Furthermore, between today and 2020, this “Golden relationship” could also become a “golden inter-connexion”, given the project of construction of a submarine fibre optic cable of 10 500 km that could, or will, connect Russia, Japan, Russia and Norway and Finland. This trans-Arctic link will be destined to connect with the Baltic and Northern sea submarine fibre optic network that, among others, are connected to the UK. This connection will reinforce data exchanges between Great Britain and china (Jean-Michel Valantin, “The Russian Arctic, China’s (digital) development and Northern Europe”, The red (team) Analysis Society, January 29, 2018). It is difficult not to understand the British expression of a “golden relationship”, coined to qualify the new dimension of the China-UK set of relations, as an allusion to the “special relationship” that has defined the dense, complicated and tangled relations between Britain and the US. The very expression itself – the “special relationship” – was created by Winston Churchill in 1946, during its famous “Iron Curtain Speech”, to salute the way both countries had fought side by side against Nazi Germany and Imperial Japan, while having a new common enemy, the Soviet Union (Daniel Yergin, Shattered peace: the origins of the Cold war and of the National security state, 1977). Thus, the new notion of a “golden relationship” expresses a major shift from the British geopolitical history of the twentieth century and early twenty-first century, including, more recently, the alliance forged with the US for the “war on terror” and the fight against Islamic terrorist networks as well as for the war in Iraq. It signals Britain’s “pivot” to China, the Middle Kingdom being perceived as the new siege of international power (“Britain eyes closer cooperation with China Belt and Road”, Global Times, 2018/2/1). 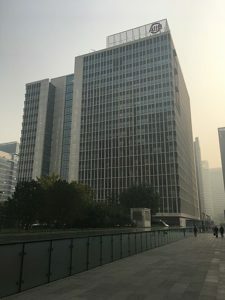 Reciprocally, for China, the integration of the UK to the B&R is of a major geopolitical importance, because it allows Chinese firms, among others, for example, to benefit from the financial knowledge, capability and global reach of the City (“Time to shine “Golden era” for China-Britain ties brighter”, Global Times, 2018-1-31). It turns the UK into a “source” of financial resources for China while transforming the B&R into a potential transport, electronic, and political Eurasian loop going from China to “Extreme Europe” up to the North Atlantic. Thus, the Belt and Road initiative could lead towards an “Asian Britain” and an “Atlantic China”. Featured image: The City of London seen from the south bank of the river Thames in London, United Kingdom, by By 0x010C (Own work) [CC BY-SA 4.0 (https://creativecommons.org/licenses/by-sa/4.0)], via Wikimedia Commons.